Hilla Shamia has designed furniture that combines cast aluminium and wood. 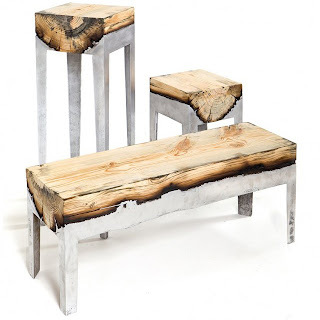 Description from the designer: Furniture combing the cast aluminium and wood.The negative factor of burnt wood is transformed into aesthetic and emotional value. 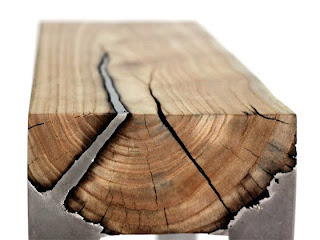 Preservation of the natural form of the tree trunk within the explicit boundaries. The general,squared form intensifies the artificial feeling, and in the same time keeps the memory of the material.